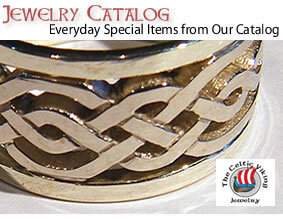 Select from our Catalog of Fine Quality Handcrafted Jewelry. Our catalog of jewelry is growing daily as we design new pieces that can be viewed in our store or purchased on-line in your choice of precious metal (white gold, yellow gold, silver or bronze). 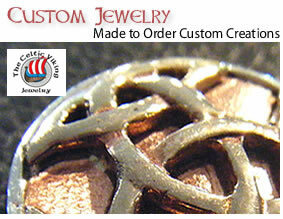 We feature Celtic knots, sterling silver Celtic jewelry, Viking and barbarian jewelry and the like. Some are traditional works of art, and others are our interpretation of these old world motifs. Your Vision for Heirloom Quality Jewelry Can be a Reality! Everything is hand-made on-site using old-world techniques coupled with some modern innovations. Our goldsmith, Bret Christensen, has made countless one-of-a- kind items. We find that folks usually want something truly unique when they shop for rings or pendants. Sometimes the solution is to craft it. No custom project is too large or too small.